Welcome to the Irish PharmaChem yearbook and buyers guide which is published in association with BioPharmaChem Ireland. 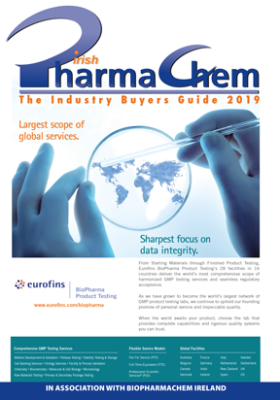 The Irish PharmaChem Buyer’s Guide is circulated to decision makers in every pharmaceutical and chemical manufacturing business, biotechnology and medical device manufacturing company in Ireland. Check out our industry buyers guide.